Get caught up on the latest news right here, right now by visiting LaxLessons.com’s groundbreaking, imitated, but never duplicated Lacrosse Insider. It’s the No. 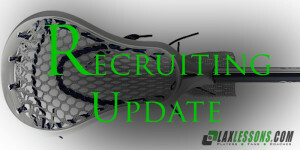 1 source and unparalleled leader for recruiting news, analysis and information in the NY/NJ/CT tristate hotspot and the entire lax galaxy, featuring nationally respected, award-winning multimedia director, manager, producer and editor Joe Lombardi, the author of the latest edition of “Lacrosse for Dummies.” Access Insider here. Terrence Haggerty and Connor Bennardo have played on the same attack line since fifth grade. Considering they are now both seniors at Harborfields High School in Suffolk County (NY), you might think this coming spring will mark the end of the stretch. That’s because Haggerty verbally committed earlier this week to the same college Bennardo is headed to, the University of Detroit-Mercy, a decision first reported by Joe Lombardi on LaxLessons.com’s Lacrosse Insider premium coverage section. “It was very important to me,” Haggerty said. “Connor is a great friend and a fantastic lacrosse player. “I love the fact that we will remain teammates and continue to play together. He makes me better and he is always looking to pass to me every time he dodges. He makes me a better player and without him, I would not be the player I am. The 6-foot-1, 180-pound Haggerty is a lefty finisher with a strong and accurate shot. He can also play midfield. You can watch his highlight reel here. Now, here’s a Q&A with Terrence on his commitment. Detroit has a lot to offer athletically and academically. The city of Detroit is fantastic and there is always a lot going on. The coaches were all really great and really care about there players. The MACC is a great conference and they are always competing for a MACC championship. Also my linemate and good friend Connor Bennardo is going to UDM, and i love playing with him. Tampa, Dowling, Cortland and Lynn. I believe my strengths are outside shooting and finishing, and downhill dodging from up top like a midfielder. I would describe my style of play as a finisher and a offensive threat. I got introduced by my dad. I started playing when I was in kindergarten and I just fell in love with it. I also played football, basketball and baseball. I played for the Long Island Outlaws. I attended the LI laxfest, Legacy Boston and NYLA. I would like to say thanks to all my coaches, Brain Proctor, Justin Arini, Rich Petillo, Craig Majid and Glenn Lavey. They all helped me throughout my career and taught me many things about the game and made me better in so many ways. I would also like to thank my family for supporting me in my decision and always being there for me. And lastly, I want to say thanks to all my teammates. They made me a better player and without them i wouldn’t be the player I am today.